Pioneers in the industry, we offer maize degerminator and maize degerming machine from India. We haved developed one of the best, efficient and long lasting maize/corn-Degerminators in the Industry. These de-germinators are used for breaking the maize/corn seeds into larger particles for later separation of germs, bran and grits. Whole maize germ extraction achieved. 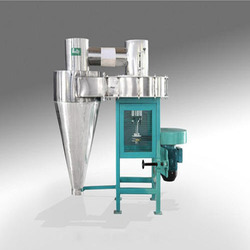 Most efficient machine with lowest power consumption and extra long life of inner cone. Capacities available from 1 ton/hr to 5 ton/hr. We make one of the best de-germinators and de-branners in the industry with widest range of processing capacities (from 1ton/hr to 5 ton/hr). The outer body of our de-germinators is movable (back and forth), to achieve the required grit size. The core is made from special alloy steel which gives it extreme hardness for long life. Manufacturing and trading of supreme quality Maize Degerming Machine has helped us achieve a very high level of trust in the market. 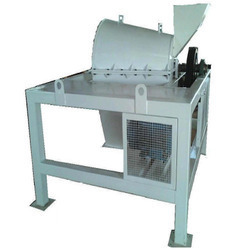 This machine from our side utilizes the hitting and cutting between the rotor and the toothed plate, and the friction and crash between corn kernels, damages the corn endosperm structure, the structural strength of corn germs and the bonding strength between corn endosperm and corn germs so as to realize corn peeling, corn degermination and corn grits making. Looking for Degerminator Machine ?